A woman has been offered an 89p refund, after finding a "foreign body" in her squash when she was already 3/4 of her way through the bottle. 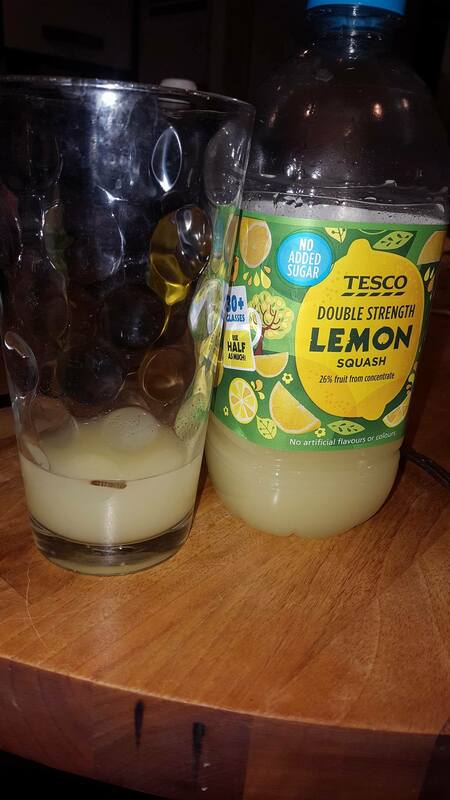 Natalie, 23, from York, bought a bottle of double-strength lemon squash from Tadcaster Road Tesco. She then proceeded to drink it. 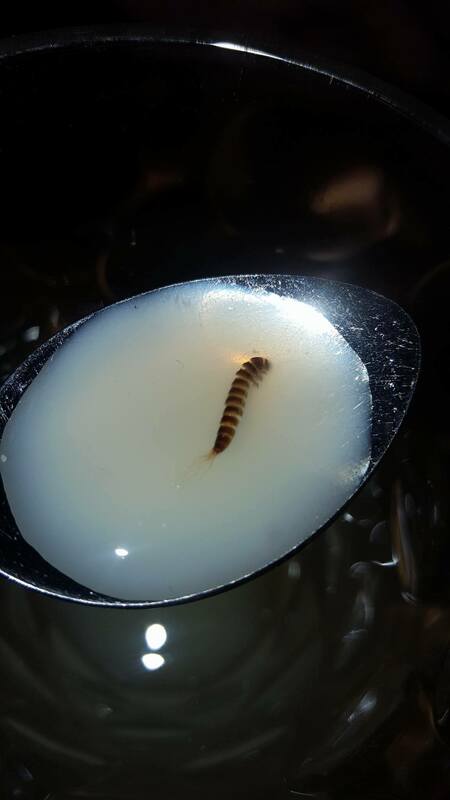 But one day when she was already most of the way through the bottle, she found that the bottle didn't just contain squash, but was also a watery grave for a caterpillar. 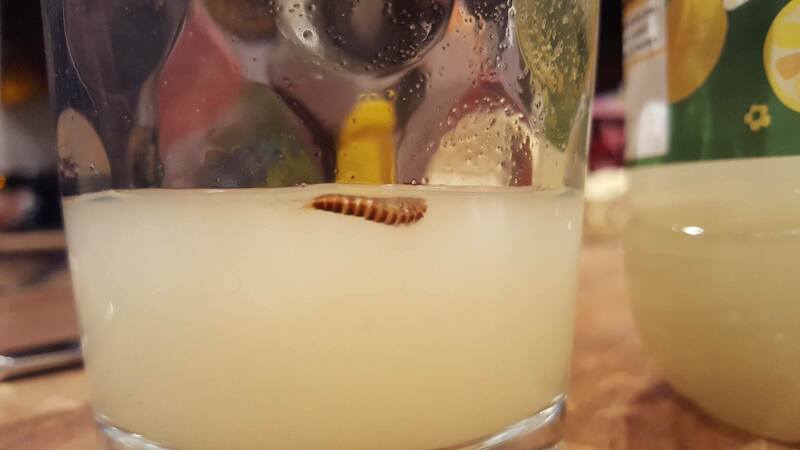 Just like Jack from the Titanic, this caterpillar didn't receive a burial, and instead met a liquid grave. Unlike Jack or Bin Laden, this grave is made of squash. Ewww. Photos provided by Natalie to Student Money Saver. Natalie told Student Money Saver that when she complained to Tesco, they offered her an 89p refund for the bottle of squash, but that she would rather they did a recall. Tesco told her that without the foreign body in question they wouldn't be able to investigate. But, understandably, she had already thrown it down the sink in disgust. "I've had lots of messaging with tesco via Facebook messenger. They are claiming without the foreign body they cannot investigate (understandable) but as I was so horrified my initial reaction was to throw it down the sink as I thought the photos would be enough for tesco." "I refused the refund as told them how I felt disgusted, which they have now offered if I go to my local store the store manager would like to give me a bunch of flowers..which is slightly humiliating but I'll no doubt get them all the same!" "I think the refund is ridiculous.. 89p isn't going to shut someone up about a foreign body in a widely consumed product?! I'm 23 and I was about to consume the squash myself, we were already 3/4 of the way through the bottle though which is why we were obviously so revolted." "I want to highlight tescos lack of concern..this is a really serious matter! 😐"